In order to prevent incidents of eve-teasing and molestation of school and college girl students and working women, the District Collectorate, Jaipur, has launched a helpline called Garima' where women can lodge a complaint. The helpline works 24x7 and the identity of the caller will not be disclosed. Women can email at garima.helpline@gmail.com or send an SMS on the number 7891091111. The team will act according to the nature of the case and will ensure speedy disposal of the victim's problem. The college has constituted a Grievance Redressal Cell to attend to the grievances of the students. They can approach the cell to voice their grievances, if any, regarding academic matters, health services, library or any other issues. Students may either send their grievance to the Principal, or write it on a note and put it in the grievance box located in the campus. The cell redresses the grievances by sorting out the issues raised in a prompt and judicious manner. On 23 Feb. 2013, the District Administration constituted a Task Force for the security of girls in colleges and Universities. Consequently, a Task Force has also been constituted in the college under the auspices of women cell, which provides information relating to different laws, gives suggestions and offers counselling. It also suggests solutions for grievances. S.No. Designation Name Contact No. A Security Council was constituted in the college as per the directions received from S.S.Jain Subodh Shiksha Samiti. It overlooks the security of the students as well as the entire premises of the college. Regular meetings are held between the members of the council to enhance the security and safety of the college and the students. With regard to the Supreme Court Judgment and guidelines issued in 1997, as well as the circulars issued by University Grants Commission (UGC) since 1998, the college has constituted a Sexual Harassment Complaint Committee. The committee aims to maintain a gender discrimination free environment, attend complaints against sexual harassment, if any, and sensitize the staff, students and faculty members on gender issues. As per the Supreme Court judgement dated 16th May, 2007 (In the Court of Justice Arijeet Pasayat and Justice S.H. Kapadia, on the recommendation of Raghawan Committee), the college has constituted an Anti-Ragging Squad. The UGC regulations on curbing the menace of ragging in higher educational institutions, 2009, provide for a public declaration of intent by the students at the time of admission to any course of study. This undertaking has to be submitted online on the website www.antiragging.in or www.amanmovement.org and hard copies of the proforma, duly signed by the student and the parents, have to be submitted to the college along with the admission form. 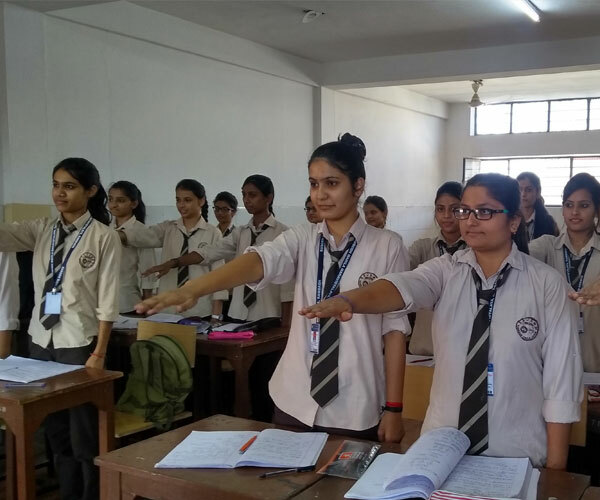 A Students' Council was formed under the supervision of the Principal of the college to assist in curricular and co-curricular activities to be held in the college throughout the session.